Submitted by webmaster on Sun, 06/06/2010 - 02:01. 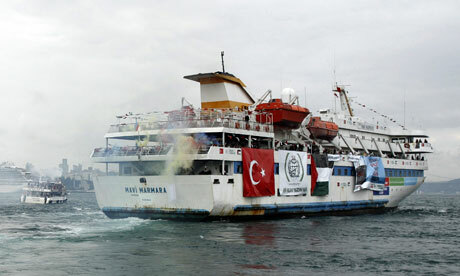 The autopsy results released today by the Turkish authorities after the Israeli attack on the Gaza flotilla reveal in chilling detail the intensity of the military force unleashed on the multinational convoy. Each of the nine victims on the Mavi Marmara in international waters off the coast of Israel in the early hours of Monday morning was shot at least once and some five or six times with 9mm rounds. The results also reveal how close the fighting was. Dr Haluk Ince, chair of Turkey's council of forensic medicine (ATK), said: "Approximately 20cm away was the closest. In only one case was there only one entrance wound. The other eight have multiple entrance wounds. [The man killed by a single shot] was shot just in the middle of the forehead with a distant shot."